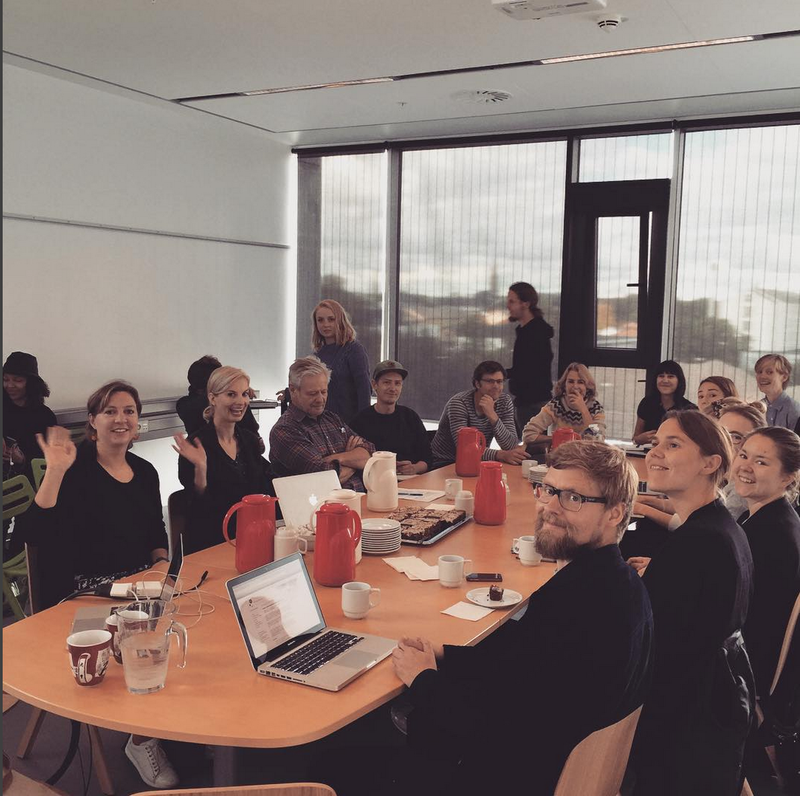 Posted on September 21, 2015 November 6, 2015 by Sarah R.
The crowd at the University of Copenhagen talk. My time in lovely Copenhagen has drawn to a close, after a whirlwind visit at the University of Copenhagen’s Department of Arts and Cultural Studies, sponsored by Uncertain Archives and the Digital Culture Research Network. Special thanks to Nanna Bonde Thylstrup and to Kristin Veel for their hospitality and generosity with their time. 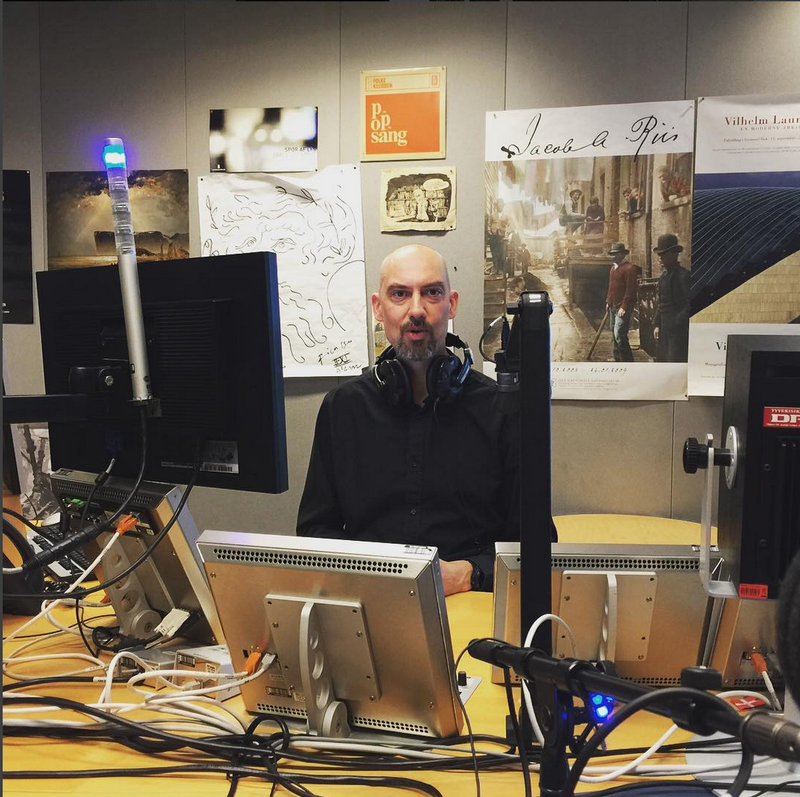 I was honored to be interviewed by newspapers Information and Politiken and will link to the articles when they run, and visited the studios of DR (Danmarks Radio) to record an interview with Anders Høeg Nissen for his technology program, to air at a future date. I look forward to being able to return to Denmark soon to continue the conversations that we were only able to begin during this visit. I encountered a rich and vibrant academic community deeply engaged in critically debating the contemporary digital media landscape, its impact on workers, on media users and on the public sphere. The debate ranged from the implications for traditional media outlets to how interventions might take the form of other kinds of architecture and platform development that moves away from false and problematic constructs of “neutral” to other paradigms. There is still much to be said and I look forward to returning to pick up the conversation where we left off today. Tak! Anders Høeg Nissen in the DR studio.